Aki was born in 1984, has Chinese and Japanese descent. Since he got the bachelor degree of electronic engineering from Purdue University, USA, he has been worked in technology cooperation in Taiwan until now. He uses his off work hours to engage himself actively in some activities like free software and Floss Art etc. In 2010, he cooperated with Anaisa Franco, a Brazilian artist, to create interactive sculpture〈Paranoia〉. He also cooperates with the member Yuan Yuan in OpenLab.Taipei and created prompt music work〈Scene〉. He has been performed in Freak Out Beast 2010 Spring Music Festival, SAT+OpenLab.Tapei 360, Priceless Freedom, and Sound Bits. 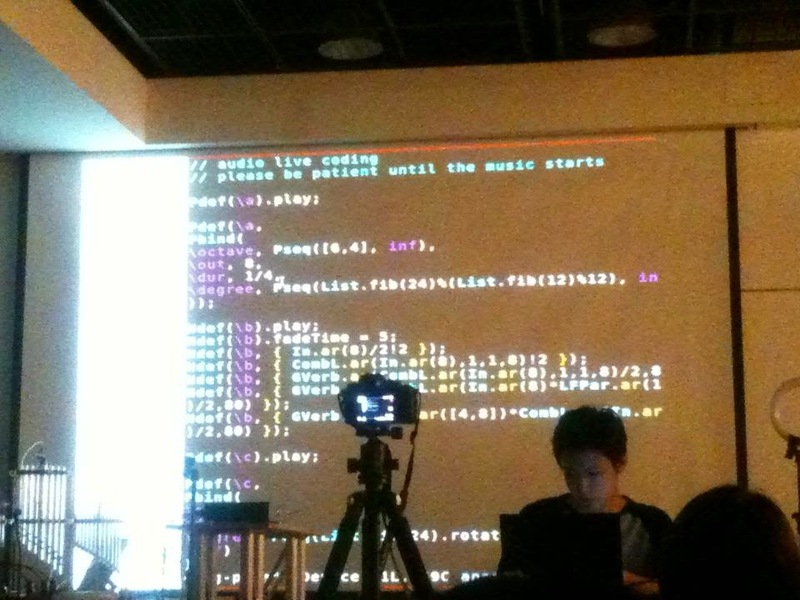 This performance will be conducted base on a programming practice called live coding. There will be two types of programming languages (called SuperCollider and Tidal) linked together. This allows me to do audio synthesis and algorithmic composition in order to create sound.